Texas Riverman is the biography of Captain Andrew Smyth, whose life spanned the history of river transportation from the 1830s to the 1870s, from rafts to flatboats to keelboats and finally to steamboats. From his home port in East Texas his river business extended to Galveston, New Orleans and as far away as St. Louis. 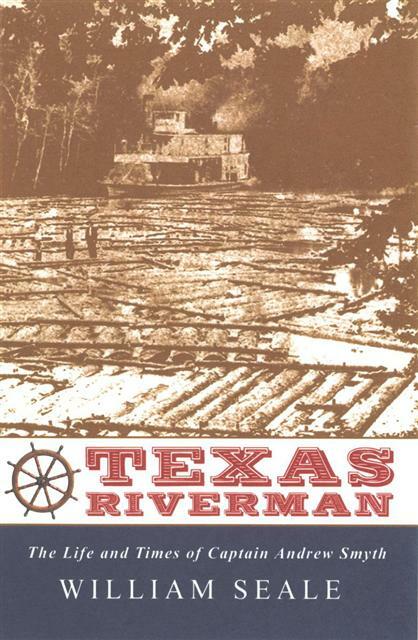 This story of river commerce is a unique and reflective social history of early Texas life on farm and waterway. William Seale is an historian. His other books include Temples of Democracy: The State Capitols of the USA; Sam Houston’s Wife: A Biography of Margaret Lea Houston;The Tasteful Interlude: American Interiors Through the Camera’s Eye; The President’s House: A History; and The White House: History of an American Idea. Editor of the journal White House History, William Seale resides in Jasper County, Texas, and in Washington, D.C.